Baking it my thang at the moment, especially at the weekend. For me there's nothing better than a Sunday film afternoon, cosied up with a slice of homemade cake. Mmmmm! 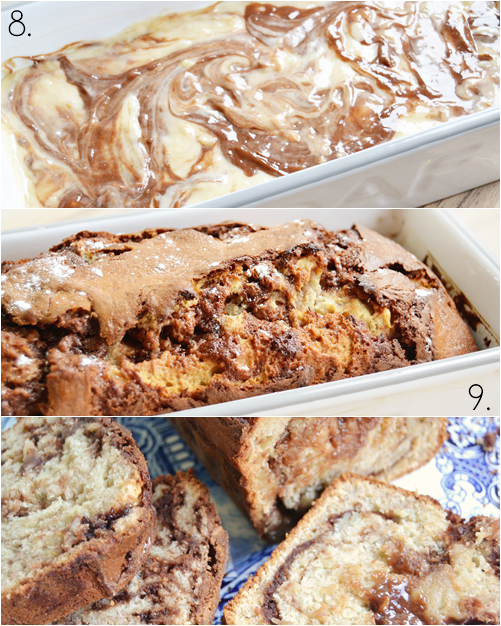 This is my indulgent Nutella Banana Bread recipe that is oh so amazing, if I do say so myself, and very much worth trying out! This is an American recipe which is why it's in cups but I'd highly recommend buying a set of plastic measuring cups. You can find a good 8-piece cup & spoon set from Amazon here, which are very similar to what I use. 1. First mash up all 3 bananas and pre-heat your oven to 180 celsius (170 c. fan assisted) or 350 degrees. I find placing the banana on the worktop and mashing them with the back of a fork to be the easiest method. 2. 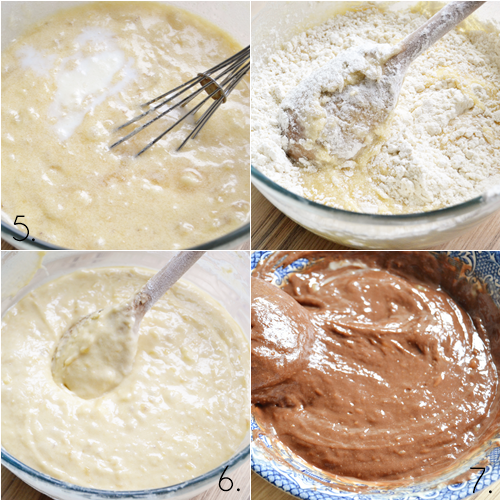 In a medium bowl mix together flour, baking soda and salt. 3. 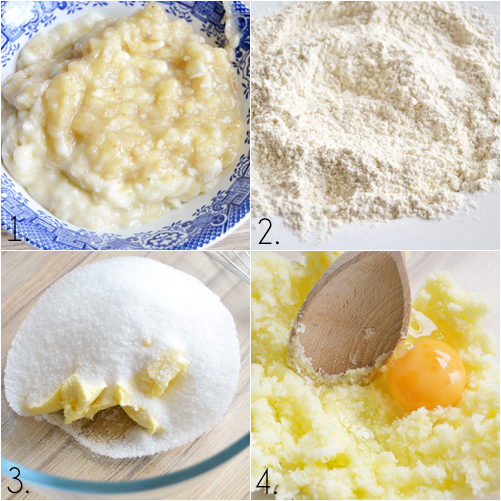 In a separate larger bowl, beat your sugar and butter together until blended - you can do this by hand with a wooden spoon or with an electric mixer. 4. Add eggs one at a time, beating well in between. 5. Add mashed bananas, milk and vanilla extract and beat until blended. 6. Next add your flour mixture and beat at a low speed if using an electric mixer. You want to incorporate all the flour here without over mixing. 7. Taking your Nutella in a microwave safe bowl you then want to melt it for 15 seconds in the microwave. Once melted add 1 cup of your banana bread mixture to the Nutella and blend well. 8. 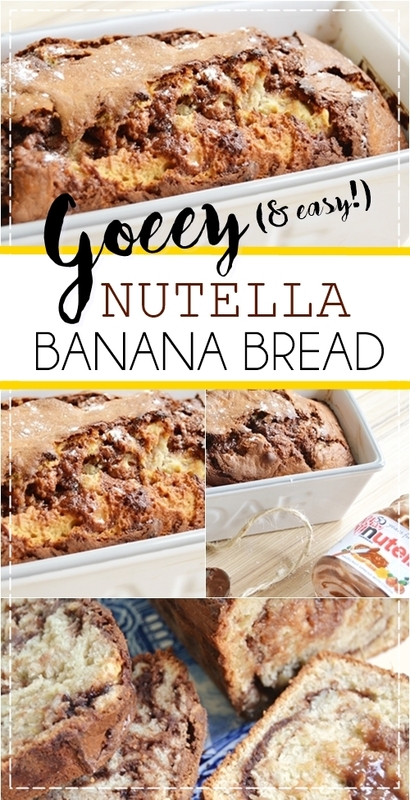 In a greased loaf tin you then want to alternate pouring in both batters (the Nutella batter and banana bread batter) swirling both batters with a knife as you go. Once filled, add the remaining Nutella batter to the top and swirl in slightly. 9. Bake for 50-60 minutes in the centre of the oven . Then leave cool in the pan for at least 20 minutes before turning out. When slicing the bread it may look undercooked but it's just the wonderful gooey Nutella! Serves 10-15 slices depending on the size of your loaf tin and can be kept at room temperature for 2 days or refrigerated for a week. If you are looking for another gooey chocolate-y recipe here's my 5-minute Chocolate Mug Cake that can be made with standard cupboard ingredients! Let me know if you try out the recipe either in the comments or on twitter (@makeup_savvy).